When we started Crossroads CRM in 2004, it was a response to the business-as-usual, focus-on-the-material archaeology that was happening across the province. We thought it could—in fact, it should— be done differently. We believed there was a place for integrating the material remains of a culture with the living, breathing people that still occupy the lands, that still honour their ancestors. That’s why we were thrilled to receive a call from the Xaxli’p First Nation in May 2016. 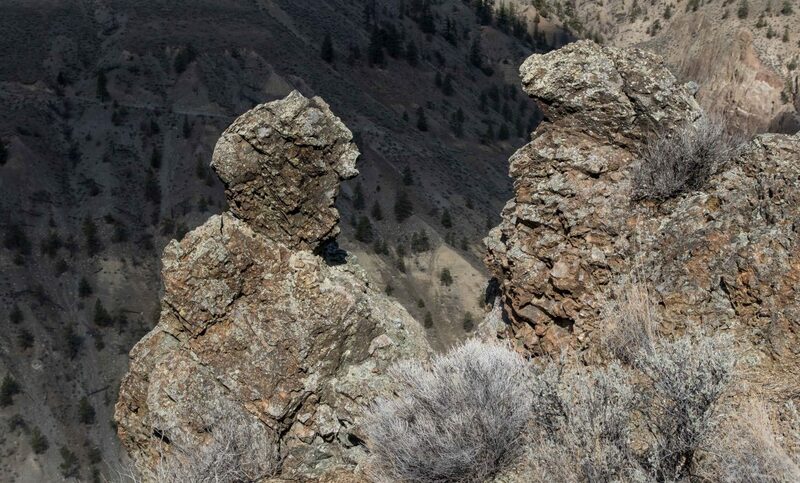 The nation was seeking proposals for the cultural assessment of a Transformer Rock at Np’esp’ás, a monolith that has stood on the territory overlooking the Fraser Canyon since time immemorial and represents a spiritual entity for the St’át’imc people. 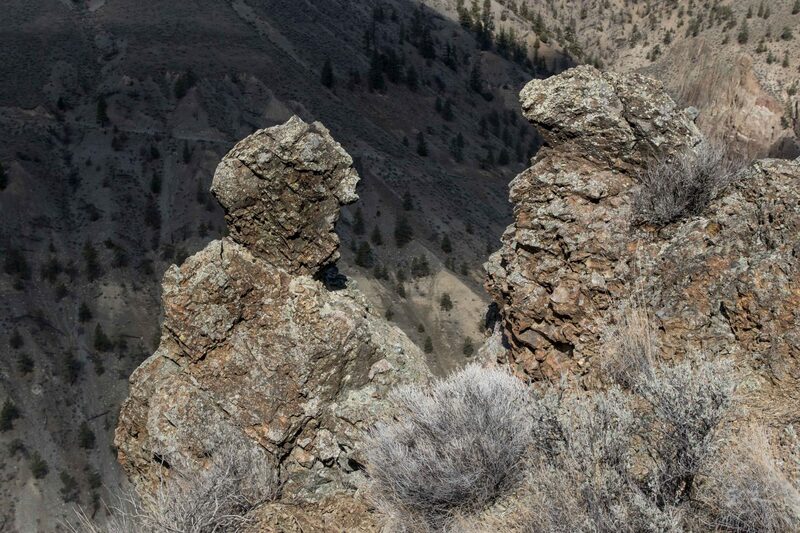 Its function and meaning defy simple explanation: Transformers are believed to be spirit-beings capable of transforming themselves into stone and Transformer Rocks exist in many northwest coast First Nations communities, as well as cultures around the world. They embody the spiritual meaning Indigenous peoples attribute to landscapes and are seen as living entities, at times watching over the community and at other times ostracized and feared by them. In recent decades, industrial activity combined with natural geological erosion have contributed to the degradation of the Xaxli’p Transformer Rock’s structural integrity. Within the past 100 years, CN Rail has pushed a railway through the Fraser Canyon and Highway 99 now runs through the territory. As such, the Ministry of Transportation and Infrastructure was willing to work with the nation to fund a cultural assessment of the rock. The project was precedent setting. We were definitely interested. But we declined to submit a proposal. Instead, we got in my car and drove the 10 hours to Lillooet. I met the community and the elders. I visited the site and got a sense of the emotions that surround the rock, these Xaxli’p ancestors turned to stone. We shared experiences and perspectives and, after a day, I knew we wanted to work with them. When I finally did submit our proposal, it was coming from the inside, with an understanding of the thoughts, beliefs and emotions that surround the project. Thus began our most unique project to date. We returned to the territory in October and suggested the nation approach this not through the standard resource-management way of thinking, but through a cultural lens, bringing the legal and geotechnical components under the same cultural umbrella. We ran the entire project, including the approach of their Lands and Resources Department, through that same cultural filter. The nation was completely on board with this culture-first approach. We continued to do our research and visited the community two more times, in March once again connecting with the elders and visiting the site and, in May, facilitating a three-day Cultural Resource Management Training Program for 14 participants from Xaxli’p and surrounding communities. On May 24, a dozen students were also able to visit the site. 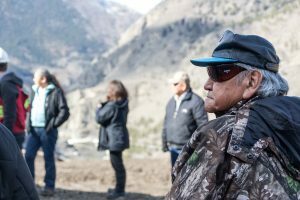 In June, we submitted our assessment to the Xaxli’p First Nation with not just of a superficial understanding of the rock’s importance, but with a deeper understanding that what stands there, impacted by industry and slowly sliding into the canyon, is seen by the community as their ancestors. This isn’t simply a monument. It’s a monument marking a grave. For the Xaxli’p, our project dealt with human remains just as our previous Green Lake, Hagwilget and Moricetown projects did. We’re grateful that the Ministry of Transportation and Infrastructure had the foresight and vision to see the importance of this cultural impact assessment. Anytime you attribute spiritual meaning to inanimate objects, it goes a long way to better understanding the cultural values of the landscape held by First Nations. We hope this marks the beginning of many similar projects to come.